Inspired by Judy Chicago, I’ve created a virtual dinner party: One category of my blog will be dedicated to honouring women who I want as a part of my soul community. Each woman at my virtual table has a lesson to teach, even if it’s simply to inspire us with her ability to hold greater aspirations for ourselves than we’d ever thought possible. Each one will be a manifestation of the Goddess, a Wise Woman, a pilgrim on the road of the Sacred Feminine. I want to share the wisdom of these women as part of my community of support. Or the scared & lonely girl inside. Plus, she rocks those Givenchy dresses like nobody’s business. 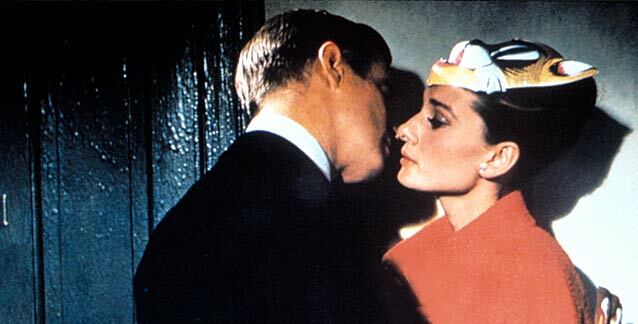 It would be such a treat to have her (as played by Audrey Hepburn) at my virtual Dinner Party, to remind us all of the lessons of life & love she learns every time we watch. The first time you see Holly, you’d think she’d read Danielle Laporte’s The Desire Map. Even though she’s not sure what exactly she’s seeking in life, she knows what it feels like: quiet & proud (like Tiffany’s). 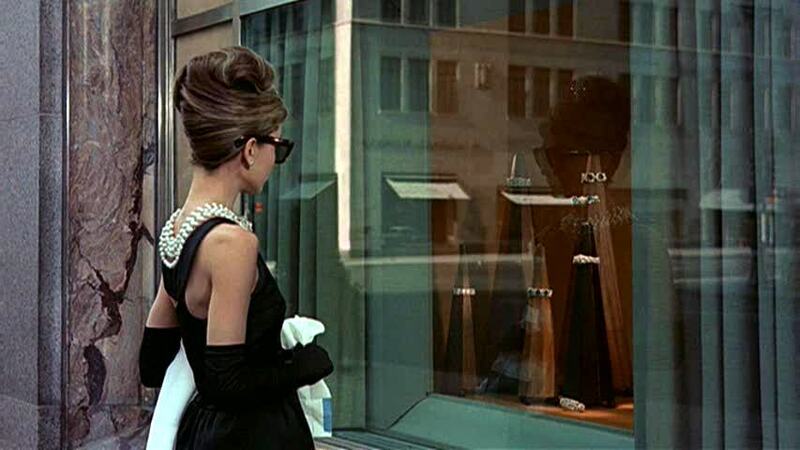 If she “could find a real-life place that made me feel like Tiffany’s”, she’d lay down some roots and call it home. But like so many of us, by looking for that sense of home in the arms (and wallets) of ratty, rich men – in the externals – she bypasses what’s most important, and frankly, what’s right in front of her face. Yet, despite her feelings, she just keeps letting her fear of going hungry or being trapped in a cage drive her decisions. It takes a great deal of hard knocks, and some harsh words from the one man who wants nothing more than to love her, for Holly to realize that she’s “already in that cage.” Built herself as she runs from preconceived notions she holds true. A cage built by beliefs that no longer serve her. Lately, I’ve likened it to being a rat stuck in the same spot in a maze. No matter how many new techniques, different doors, or changes of mindset I try, in the end, I’m right back in the same damn dead-end. It’s got a big blaring label called “I’m not enough”. At any given time in my life, the maze might have been my weight or another health issue, work, a love relationship, or my relationship to money. Inevitably I’d get stuck in a rut of poor discipline, energy or motivation…frustrated by a lack of tools, or not sure how to use them. Like standing outside Tiffany’s with my nose pressed to the glass, but unable to grasp what I want. Fact is, I keep ending up in the same place because I’m like those flies in the experiment who don’t realize the cap’s been removed. Somewhere along the way, I was told to stay in a certain box, and so I made darn sure to keep myself folded just so. To fit some old, irrelevant, outdated, false expectations I’ve held for myself, others have had for me…or that I’ve assumed others have had. So, Life just keeps bringing moments and people and situations, in an attempt to show us that the lid’s been removed, the box is disintegrated, the maze has an escape route. They show up again and again, telling us to lift our heads slightly and have a look around. For Holly, it was Jack. Constant, devoted, and carrying a Tiffany’s box in his pocket for months. All she had to do was open the door to the cage and let the love in. If you were to peer outside your own sense of confinement, what would Love be there telling you is true? If you had a hand to guide you over the threshold, where would it lead? If you’re ready, I can be that hand for you. Show yourself a little Love for the month of February: book a free 30-minute Free Initial Consult so I can show you what the world outside the jar is like. Sign up for bi-weekly goodness delivered fresh to your Inbox! This entry was posted in Creating Health from the Inside Out, Soul Bites, WH Dinner Party and tagged beliefs, intentions, learning, open heart, self love by Cathy Cochrane. Bookmark the permalink. Cathy. I adore this post! So well written and perfectly weaving the film into the lesson you are getting across. I love that movie and always found it a bit sad how she has herself in a cage. Completely makes sense how you write it. Thank you for the reminder to open the door. Sometimes the simplest steps are the hardest to see. So many women (most I think) struggle with some form of “I’m not good enough”. I believe it is part of our overall conditioning as women. Limiting Beliefs are a big part of my work this year. I really appreciate this post, thank you Cathy. You tied it all together so well. Thanks, Cheryl. It occurred to me last night that we (in general) feel that way because we spend so much time thinking about what’s not working in our lives, rather than what is. We get “limited” in our own daily thoughts. Oh yes, I can so relate to the not enough, never enough, finally enough? I love how you weaved together the scenes of this classic film with the perspective you share here, Cathy. The line: “No matter where you run, you just end up running into yourself,” reminds me to shine a light on a more compassionate path because, ultimately, I have some life lessons to learn here. P.S. Whenever you get here. “If she “could find a real-life place that made me feel like Tiffany’s”, she’d lay down some roots and call it home.” oh, holly – how i can relate (though it may not be tiffany’s for me). however, in spite of being rootless, i know what “home” feels like inside and i carry it with me no matter where my travels take me. thanks for a delightfully fun and insightful article, cathy! I loved the way you have connected a classic movie and limiting beliefs to the lessons that are still as important to learn today. ‘Being willing to release all that no longer serves you’. It is amazing the walls we build around ourselves. So many of us walk around with unexamined beliefs. Beliefs that are holding us back in so many ways. We hold the keys to our own shackles, if only we have the courage to face ourselves! I love the way you used the movie as an example of this. Great post! “We hold the keys to our own shackles”: love that, Lorna. I love Audrey. My favourite movie with her was Roman Holiday. Another movie about breaking out of the cage 🙂 Gotta love her …. and I LOVE LOVE LOVE your opening paragraph describing what you are doing…. totally got me.. A virtual dinner party, dedicated to honouring women…. pretty great… Expect to have me at your table! You are most welcome to dine with me any day of the week, Elizabeth! Great article! Love the movie! Yes I too was locked in my own prison and I broke free!!! And it had a lot to do with learning what is love and what is not and what is self love and what is being self less and the difference between that and selfish! And lots more – yes, I agree – it is time for the world to cotton on to the inside out approach! Learning those variations really is new territory for so many of us women, where the idea of “self”-anything (other than selfless) has been a no-no. Oh how I love Audrey and Holly! One of my faves too! Isn’t it wonderful how these beautiful movies have so many layers and teach us so much about ourselves. Thanks for bringing clarity to the inner connections I have with Holly. X.
Wow! This couldn’t have come at a better time. I’ve been struggling with “I’m not good enough” for some time now and I’m ready to break free! I have so many degrees and certifications and always feel like what other people have to offer is better than anything I can put together with my skills and knowledge. I end up self sabotaging myself b/c I’m so afraid of putting myself out there and having my feelings confirmed. Here’s hoping that things finally shift for me this year! This is the part where we trust in our own unique qualities, Jennifer. Here’s to shifts (and yummy cookies – your site’s a real “treat”! )!